First things first, just like your website, your social accounts need consistency. It isn’t enough nowadays to just own a social account; that social account needs to fully represent who you are and what you do, as well as offer some kind of brand personality to encourage the level of engagement you want. Consistent user handles (preferably one similar if not exactly the same as your company name). CTAs are a great way to drive engagement. If you created posts such as “like this post if you…” or “share this post if you..”, you would start to notice people being be much more likely to interact with them. It may come down to the psychological principle behind it, that you are subliminally telling somebody to do something, but either way, including CTAs is a great way of driving interaction. One thing to note, however, is not to over do it with these kinds of posts. You want to create light CTAs that are fun and entertaining for the user, instead of being abrupt and telling the user what to do. If you have a good content marketing strategy, which at this stage in the digital marketing industry, you should do, it is important that you are including each of your social sharing buttons on your content. Whether you’ve produced an ebook, a landing page, a blog post or even an infographic, you should be allowing your followers to quickly and easily share your content. By influencing your social following to share your content, you are basically pushing your content, and ultimately brand, to an even wider audience that extends beyond just your own direct fans. This broader audience then may look further into your account and become a follower themselves, which could then even turn into a new customer. Blunt one liners may get a few likes if they are humorous, informative or inspirational, however, the vast majority will not provoke an immediate reaction from the consumer, as they are likely to scroll past and never view the post again. 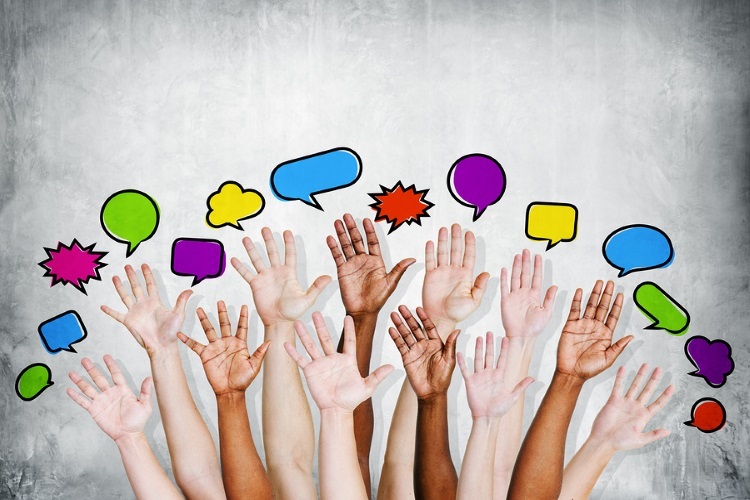 Asking questions can be a great way to pull engagement into your post. People love discussions, especially if there are contradictory arguments within the post. Once somebody is tied into a discussion, it is likely they will tag others to get their opinion; which means more exposure. Not only does it improve your reach, but it can also be used to generate information from your target audience, providing you word the question cleverly enough. Make sure that you are regularly monitoring the discussion, as the main reason behind the initial question is to drive as much engagement as possible. If it starts to die down, try stir up new parts of the discussion by adding in little comments to change the focus. Plain text is great to use for everyday social activity, it is straight to the point and it doesn’t take much effort to write a few lines. However, text isn’t always the most engaging post tactic. Over the past few years, visual imagery has become a much larger tactic used by companies on social accounts and has proved to receive a much larger response. The question is, what images do you post? I would personally recommend using images that fit well with your target audience. For example, if you are targeting corporate professionals, using slang jargon and petty humour probably wouldn’t be the best idea. However, if you were targeting, say students, creating humorous and cheesy posts may work just fine. I would always recommend making sure you include high quality images, some being of your staff (to add personal value to the account), along with images and “how to” guides (if your company sells products) or pictures of the service you sell in action. This puts more confidence into the consumer and also helps them get a good understanding of what your company is about.